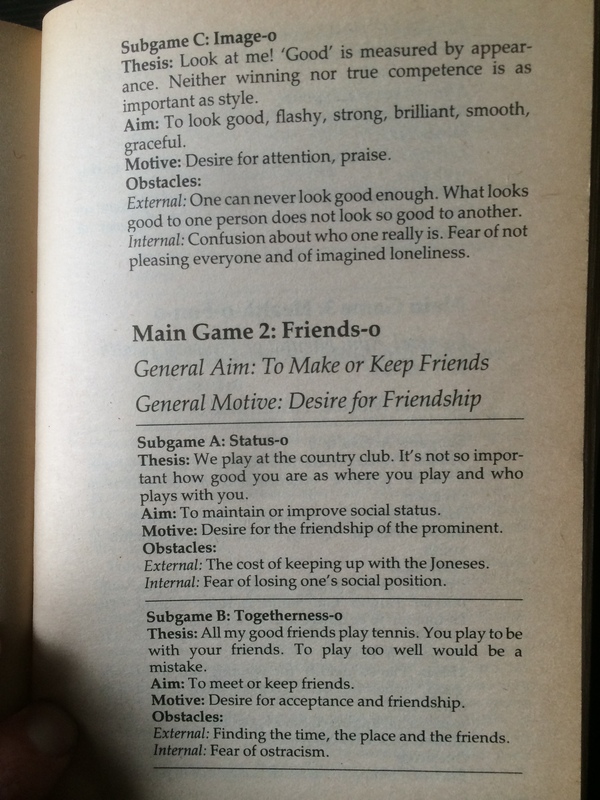 Why I play music (I think); the Inner Game not just for tennis players, it’s for everyone! I had a teacher that told me to read this book. They hadn’t read it, but I learned that the things that this teacher didn’t do, but suggested, became more important to my development than, and obviously, they would have known. I like to read books and I like to analyze things: Social behaviors, interactions, body language, tone of voice, my own actions, and unfortunately others. I try so hard not to be judgmental and I swear that I am getting better, but it’s so hard to do. I used to say, “I am not judgmental, just very observant”. To some degree I still hold on to that motto. In my opinion there is a very fine line that can be crossed easily between distinguishing the two, or operating out of judgement which is really a terrible thing to do. 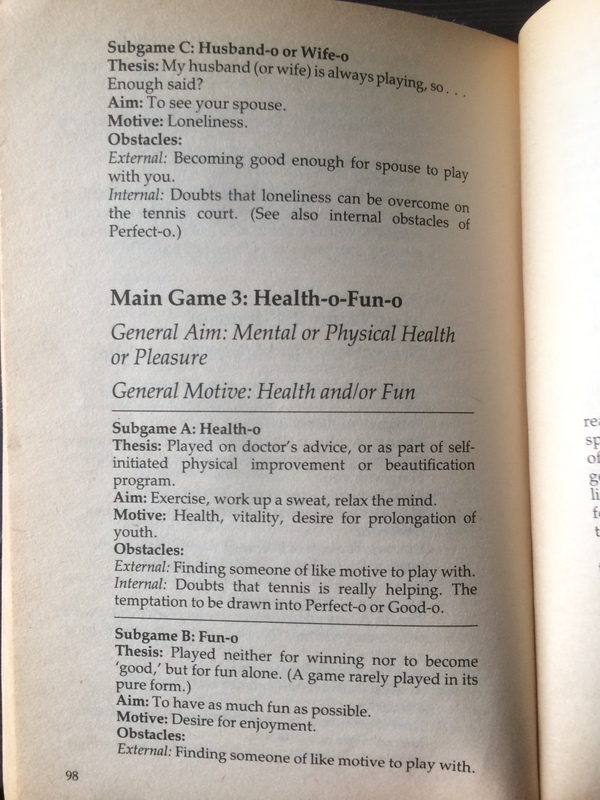 So, while reading this list of “sub games” we play, I couldn’t help but think about others that I interact with musically while I was taking a break from scrutinizing my own actions. But who said that I am to be measured by how well I do things? 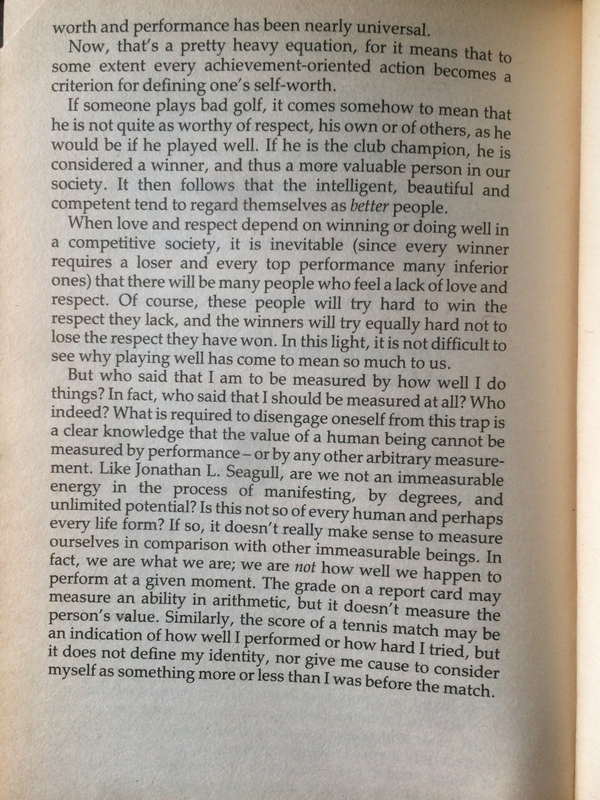 In fact, who said that I should be measured at all?…What is required to disengage oneself from this trap is a clear knowledge that the value of a human being cannot be measured by performance–or any other arbitrary measurement. Like Jonathan L. Seagull, are we not an immeasurable energy in the process of manifesting, by degrees, and unlimited potential? Is this not so of every human and perhaps every life form? If so, it doesn’t really make sense to measure ourselves in comparison with other immeasurable beings. In fact, we are what we are: we are not how well we happen to perform at any given moment. You will have to read more. I would love your feedback and I hope that you are enlightened by reading this and thinking deeply about yourself. This book not only helped me musically, it helped my golf game a lot as well! 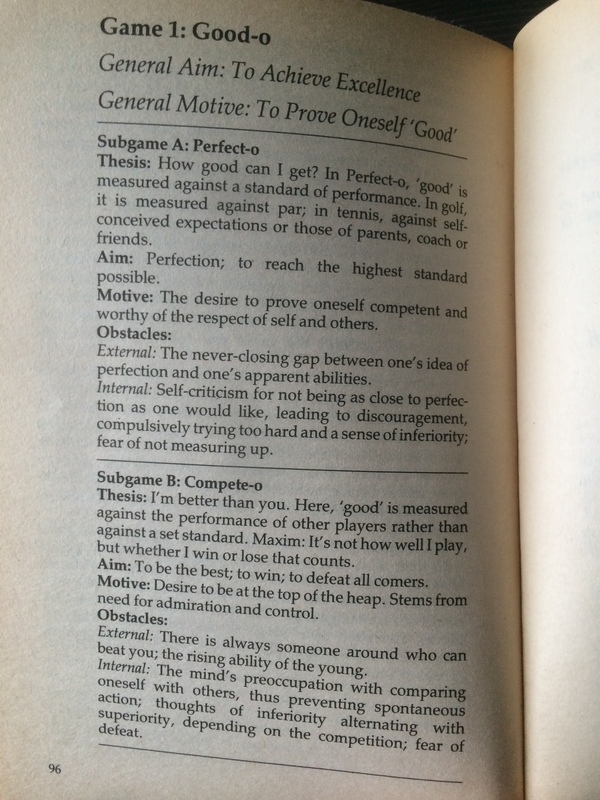 If you have read Effortless Mastery by Kenny Werner, you will see some parallels. That is another must read if you have the time. 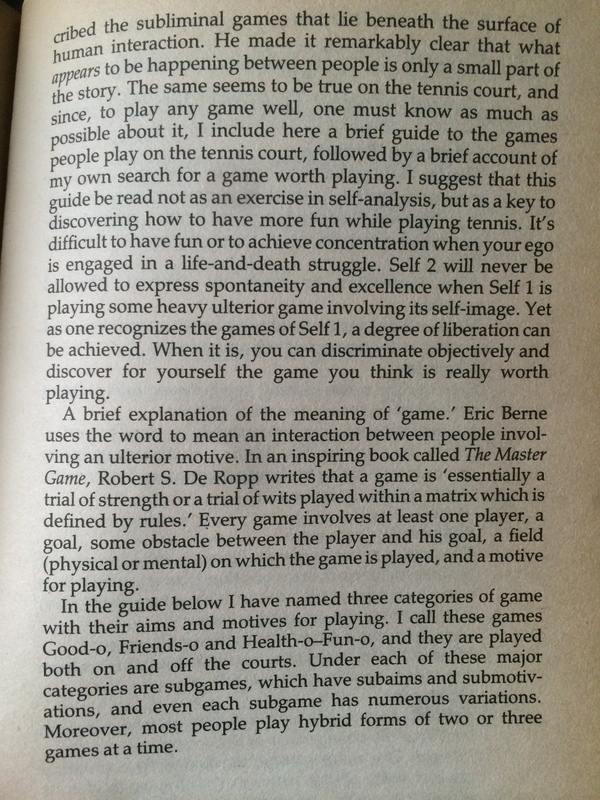 **I think that reading this book about tennis is more important than reading the one about music (make your own discovery).